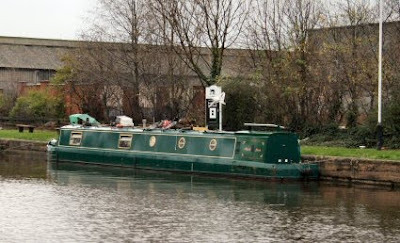 narrowboat_Abigail_Jenna: Ready for the return with only one day to go!! The Heather Rose H of Hull was the second boat going past this morning. I just saw the first one disappearing into the lock. 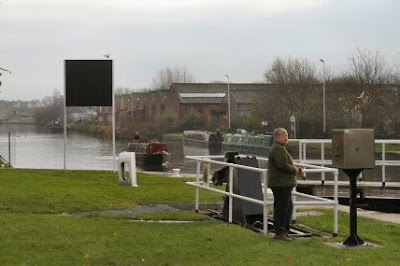 The mooring at Ferrybridge is secure and quiet if you can put up with the traffic on the canal. Personally I think I am becoming the canal version of a train-spotter. Farndale H came back this morning. I think there is a contract up towards Leeds for gravel. I might have misread this one earlier and called it Ferndale II. 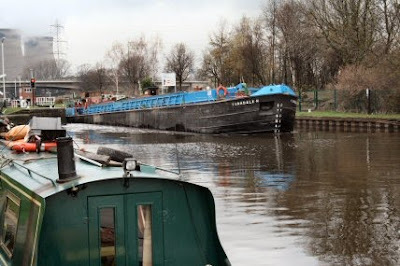 The coalman cometh and turned up at the lock. 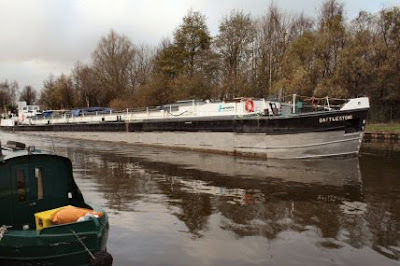 Keith and Karen on the Barnaby are heading for Castleford and loading with coal before they leave. With Keith and Tim in the lock we loaded up at the coal and picked up some logs. 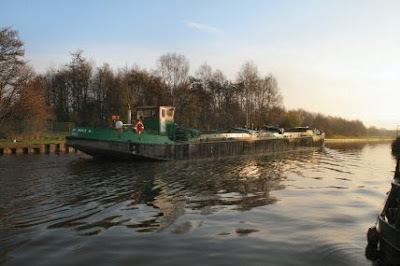 The narrowbaots look lost in a lock this big. First thing in the afternoon we locked Barnaby through to the River Aire. We had been checking it all morning as it is flowing a bit fast. As Barnaby went into the flow we waited till they had gone through Ferry Bridge for if the flow was too great they were going to return. They must have soon met up with Battlestone coming down. It must have filled the lock from end to end just about. 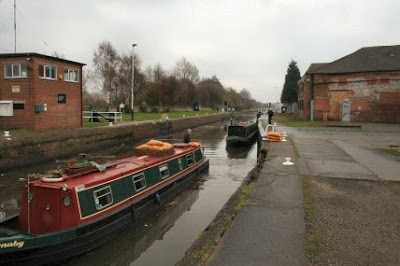 A quick walk into the area outside the lock where there are shops. I spotted a Butcher and a Baker but no Candlestickmaker although there is a chippy, two pubs and a newsagent. Its a huge big SPECIAL day tomorrow.